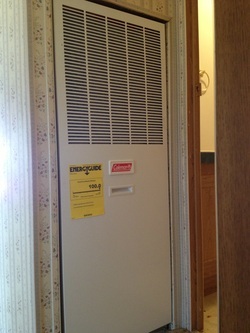 We Proudly Install Maytag Heating and Cooling Products! 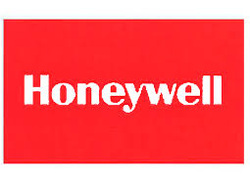 We also Install Honeywell Products as well as Coleman Mobile Home Electric Furnaces! 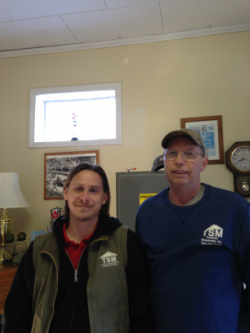 12-Year All Parts Warranty: 12 years on all parts when product is registered. See warranty details for more information. 12-Year Dependability Promise: If the heat exchanger (the major component of your furnace) or the compressor (the most important part of your air conditioner or heat pump) fails within the first 12 years (when registered), or 5 years (not registered) we’ll replace the product with like product under the Maytag Dependability Promise program. See warranty details for more information. Not all products qualify. Limited Lifetime Heat Exchanger Warranty: When you register your new Maytag furnace or gas/electric packaged system, we will also extend the heat exchanger warranty from 20 years to the limited lifetime heat exchanger warranty. 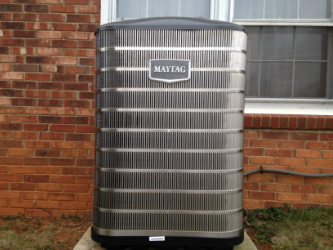 1-Year Dependability Promise: If the heat exchanger (the major component of your furnace) or the compressor (the most important part of your air conditioner or heat pump) fails within the first 1 year (when registered), we’ll replace the product with like product under the Maytag Dependability Promise program. See warranty details for more information. 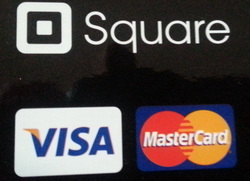 Not all products qualify.